The last of only nine Alfa-bodied, Viper-powered Zagato TZ3 Stradales to be built is heading to the Amelia Island Concours d'Elegance. 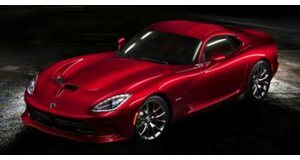 Back in 2010, Carrozzeria Zagato revealed the TZ3 Stradale, a coachbuilt supercar that was based on a Dodge Viper, styled like an Alfa Romeo and created to celebrate Zagato’s own centenary. But while many such projects never extend far beyond the show stand, Zagato put the TZ3 Stradale into production – albeit highly limited. Three years later Zagato has completed the final TZ3 for a private customer, the ninth and last one to be built, which will debut at the Amelia Island Councours d’Elegannce in a little over a week. This final example is painted Azzurro California blue, which the owner (somewhat ironically) chose "to match the Florida sky". But his patience in waiting three years for delivery has paid off: Zagato has fitted this last example with the engine from the SRT Viper (which it quotes at 8.3 liters and 600 hp instead of the factory’s 8.4 and 640), propelling the carbon-bodied TZ3 to 60 in 3.5 seconds. The Zagato Stradale TZ3 is a gorgeous car and one we feel honored to have [it] debut at the Amelia," said concours chairman Bill Warner. "The car's American underpinnings and Italian design make it a perfect fit for our field."